← 12 days until The Leviathan’s Shoulders #23! As I’ve noted numerous times in previous posts, one of the fundamental properties that characterizes wave behavior (i.e. that makes a wave a wave) is wave interference. When two or more waves combine, they produce local regions of higher brightness (constructive interference) and lower brightness (destructive interference), the latter involving a partial or complete “cancellation” of the wave amplitude. Researchers have long noted that the regions of complete destructive interference of wavefields, where the brightness goes exactly to zero, have a somewhat regular geometric structure, and that the wavefield itself has unusual behavior in the neighborhood of these zeros. 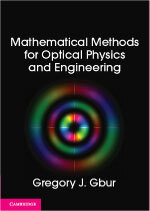 In the 1970s this structure and behavior was rigorously described mathematically, and further research on this and related phenomena has become its own subfield of optics known as singular optics. Singular optics has introduced a minor “paradigm shift” of sorts to theoretical optics, in which researchers have learned that the most interesting parts of a light wave are often those places where there is the least amount of light! In this post we’ll discuss the basic ideas of singular optics; to begin, however, we must point out that most people have the wrong idea of what a “typical” interference pattern looks like! 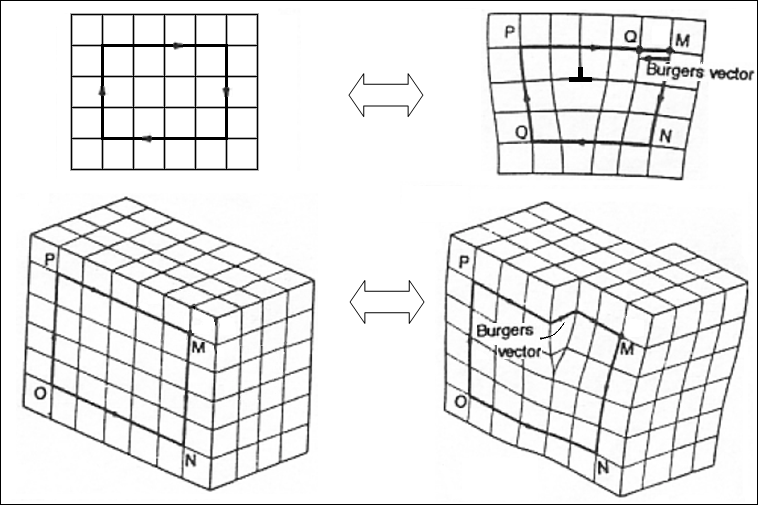 If we move the measurement screen, we find that the interference pattern remains essentially unchanged: in three-dimensional space, therefore, the regions of complete destructive interference are vertically-oriented surfaces. This experiment is is so familiar that we tend to think of “bright and dark bands” whenever the word “interference” is used; but does every interference experiment produce a similar result? If we move the measurement screen, we find that the basic form of the interference pattern doesn’t change: in three-dimensional space, therefore, the regions of complete destructive interference are horizontally-oriented lines, and the pattern is fundamentally different than that of Young’s two pinhole interferometer. What happens if we add even more pinholes? The overall structure of the interference pattern will change, but the regions of complete destructive interference are still lines. 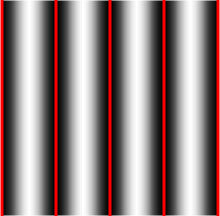 It seems that a “typical” interference pattern is one in which lines of zero intensity are present. 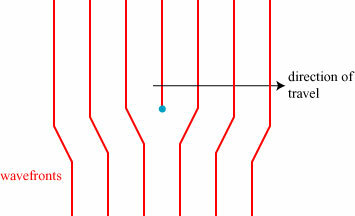 In technical terms, it is said that zero lines are a generic feature of wavefields; the zero surfaces of Young’s interference experiment are non-generic. 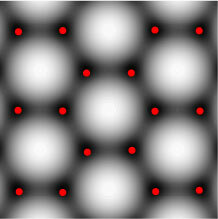 The countless dark spots are points of complete destructive interference, which are lines of zeros in three-dimensions. 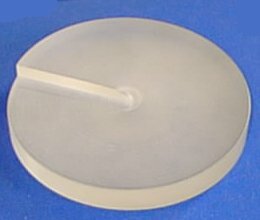 The rough surface scatters light in all directions with different phases, acting in essence as a Young interferometer with a large number of randomly-placed “holes”. Natural light does not produce such a speckle pattern because of its low spatial and temporal coherence. The really intriguing aspect of the lines of complete destructive interference, however, is the behavior of the phase of the light wave in the neighborhood of these lines. To describe this, we first briefly review what we mean by the phase of a wave, restricting ourselves to single-frequency (monochromatic) waves. This angle is what we refer to as the phase of the wave. At the wave is at its highest; at the wave is at its lowest. 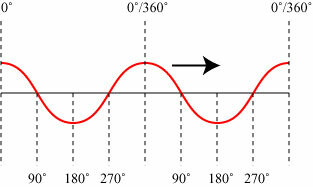 At the wave has no height but is moving upward; at the wave also has no height but is moving downward. 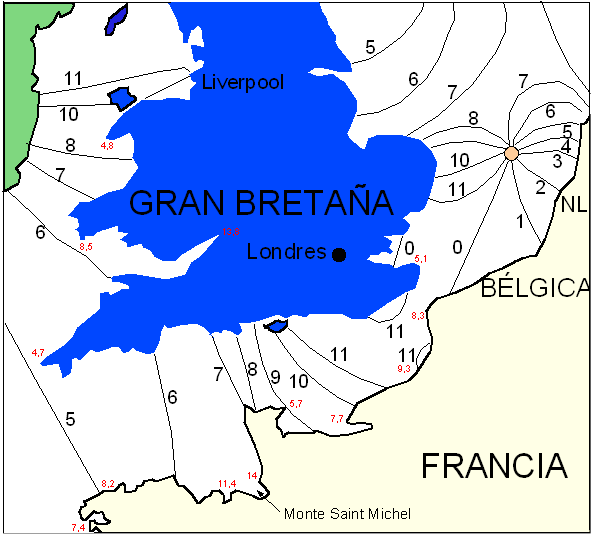 For future reference, we refer to those regions for which as the wavefronts of the wave. 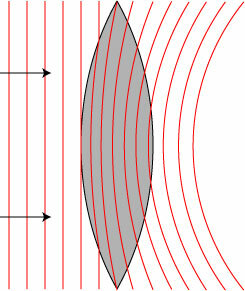 Light is slowed down inside the glass of the lens, and the part of the wave that travels the farthest in the glass is delayed the longest, resulting in a net curvature of the wavefronts. So what do the wavefronts look like around a generic zero line? There are loosely two possibilities, depending on the orientation of the zero line with respect to the overall direction of the wave. If we were to make a movie of the motion of the wavefronts, we would find that they twist upwards in a right-handed sense, like a drill bit or the tip of a screw as it is screwed in. This structure is referred to as a screw dislocation. 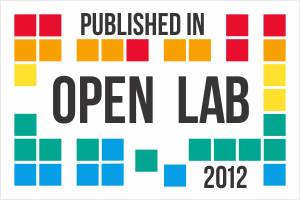 The blue dot indicates the location of the zero line. 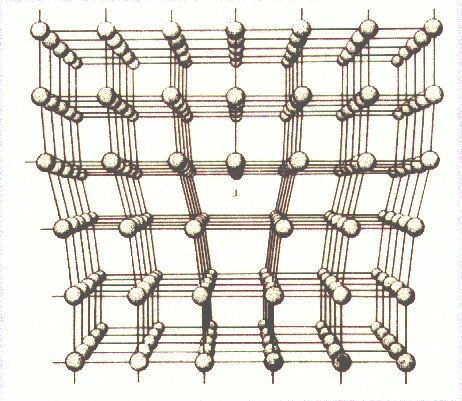 This sort of structure is referred to as an edge dislocation. 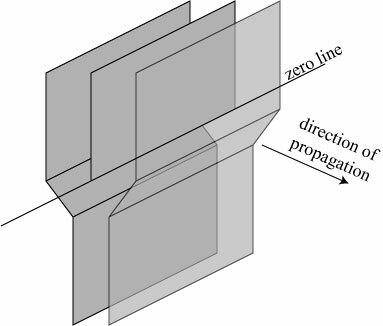 There also can exist mixed dislocations, which are partly like a screw dislocation and partly like an edge dislocation; such structures occur when the zero line is intermediate between parallel and perpendicular to the direction of wave propagation. The phase increases continuously as one traces a counterclockwise path around the zero point in the center. All possible values of the phase come together at that central point, however, implying that there is no unique value of the phase along the zero line. For this reason, the zero line is referred to as a phase singularity, and the general study of such objects is referred to as singular optics. So the zero line can be referred to as a dislocation line, or a phase singularity: let’s give it one more name! Referring again to the screw dislocation, we noted that, as time progresses, the wavefronts circulate or swirl around the zero line: in a very real sense, the light wave is “going in circles” around that central axis, very much like water swirling around a drain. For this reason, these structures are also referred to as optical vortices. We can see numerous points of zero intensity, some of which are circled for clarity. We can see the corresponding circles on the phase plot encircle structures that match the picture of the single vortex whose phase structure was depicted earlier. Note the difference between the vortices in the solid circles and the vortices in the dashed circles. If one follows a counterclockwise path along the dashed circle, the phase increases by 360°, but if one follows a counterclockwise path along a solid circle, the phase decreases by 360°. Evidently there are two types of vortices; we dub the former right-handed vortices, and the latter left-handed vortices. It is also possible to create vortices of higher order, where the phase increases or decreases by an integer multiple of 360° as one traces a counterclockwise path; these vortices are non-generic, and do not appear “naturally”. 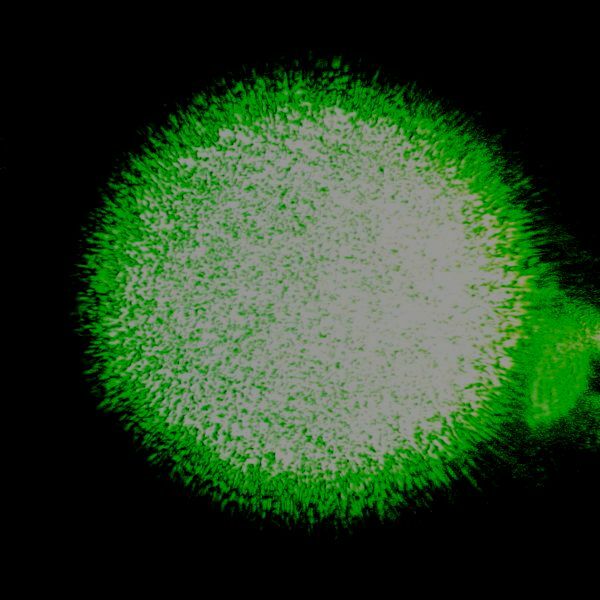 These vortices have a number of remarkable properties. First, it is to be noted that the generic vortices are stable under perturbations of the wavefield; that is, small modifications of wavefield do not make vortices “disappear”, or change their handedness. Such modifications might involve transmission or reflection of the wavefield through a slightly distorted piece of glass, or the increase/decrease of the aperture through which a light wave is transmitted2. The location of the vortex in the wavefield and its orientation relative to the direction of motion might change, but the vortex itself will be fundamentally unchanged. Second, we may associate a discrete “charge”, referred to as the topological charge, with any particular vortex. This topological charge is simply the number of times the phase increases by 360° as one circles the vortex line; it can be a positive or negative value. Third, related to the stability of vortices, this topological charge is conserved: the only way that vortices can disappear from a wavefield is if two vortices of opposite charge come together and annihilate. Similarly, the only way new vortices can appear in a wavefield is in a “creation event” involving oppositely charged pairs. This pair creation/annihilation is strikingly analogous to the creation/annihilation of fundamental particles in high-energy physics. Like vortices, fundamental particles can only be annihilated if they are brought together with their corresponding antiparticle, e.g. an electron is annihilated when brought together with a positron. No modern scientists have looked at vortex behavior as the basis of a unified theory of particle physics, but the idea has some history associated with it3. The phase should look familiar; it is simply the phase pattern of a single vortex, as depicted earlier. So why are we interested in such vortex laser beams, and optical vortices in general? 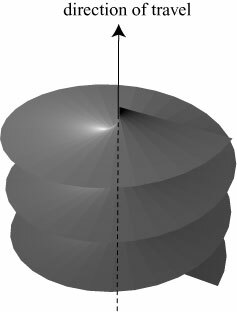 One of the most fascinating observations is that vortex beams with a net nonzero topological charge possess orbital angular momentum. In a recent and very nice post, Chad at Uncertain Principles discussed an early experiment demonstrating that circularly polarized light possesses “spin” angular momentum. This angular momentum can actually be used to spin objects — the light imparts a “twist” to the object. As we have seen, an optical vortex also has a “twist” associated with its phase, and it can be shown that it possesses orbital angular momentum. The difference between “spin” and “orbital” angular momentum can be understood by considering the motion of the Earth around the sun: the Earth’s rotation on its axis is its “spin” angular momentum and its orbit around the Sun is its “orbital” angular momentum. I haven’t seen any follow-ups to this work in recent years, but the possibility of making microscopic light driven machines is clearly an intriguing one. 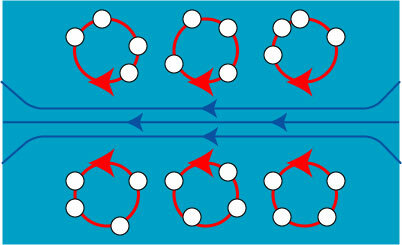 An understanding of vortices is also important for so-called “phase retrieval” problems. The phase of a light field contains much important information for imaging and sensing applications, but visible light oscillates too rapidly for this phase to be directly measured. 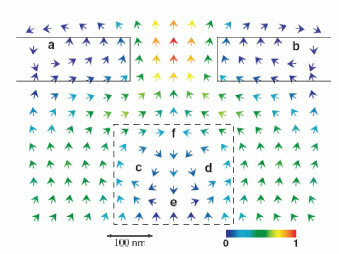 Numerous computational techniques have been devised to estimate the phase from measurements of the intensity of the field, but these techniques are often thwarted by the presence of optical vortices (the phase structure of a field with many vortices ends up looking like a very confusing multilevel parking garage). The arrows indicate the direction of power flow, and the color indicates the amount of power flow. At the points a, b, c and d it can clearly be seen that the power flow has a vortex behavior, and the center is a zero of power flow. 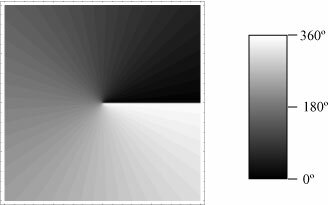 Overall, singular optics gives researchers another way to look at and think about fields, understanding and characterizing them by the points where there is the least amount of light! 1J.F. Nye and M.V. Berry, “Dislocations in wave trains,” Proc. R. Soc. Lond. A 336 (1974), 165-190. 2 A classic paper demonstrating the creation/annihilation of vortices examined the structure of a focused wavefield as the aperture of the lens was changed; see G. P. Karman, M. W. Beijersbergen, A. van Duijl, and J. P. Woerdman, “Creation and annihilation of phase singularities in a focal field,” Opt. Lett. 22 (1997), 1503-1505. 3 In the mid-1800s, before there was any understanding of atomic structure, Lord Kelvin suggested that atoms might in fact be vortices in the light-carrying aether! He was inspired by observations of vortices of smoke rings, and he would experimentally demonstrate their remarkable stability when he talked on the subject. It is another fascinating “what-if” story to wonder what the history of atomic physics might have looked like if antiparticles had been discovered while the “vortex atom” model was still seriously considered. 4 Kosta Ladavac and David Grier, “Microoptomechanical pumps assembled and driven by holographic optical vortex arrays,” Opt. Exp. 12 (2004), 1144-1149. 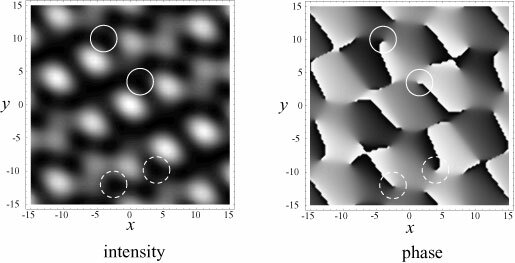 5 G. Gbur and R.K. Tyson, “Vortex beam propagation through atmospheric turbulence and topological charge conservation,” J. Opt. Soc. Am. A 25 (2008), 225. 6 H.F. Schouten, T.D. 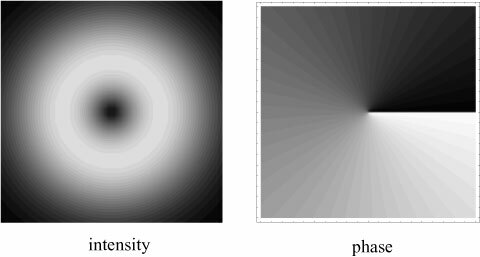 Visser, G. Gbur, D. Lenstra and H. Blok, “Creation and annihilation of phase singularities near a sub-wavelength slit”, Optics Express 11 (2003), 371. Fascinating post Dr Skyskull, thank you. I’d say at least two people read this, besides yourself. Yay! I’ll call it a well-read post. Might it be that the spam bots were triggered by the expression “chasing tail”? Shhh!!! Are you trying to bring them back??!!1! Wow — that’s a tricky thing to explain! As it turns out, I’ve been slowly investigating that very question, though I don’t have any definite answers yet — if I figure something out, I’ll blog about it and let you know. That’s about the best compliment I can imagine getting! Thanks! I would like to bring to notice the striking similarity between 1) adding an extra pinhole and seeing the interference pattern and 2) the Moire pattern observed when two cloths with a pattern of lots of tiny holes placed one after the other. I am not an expert on Optics though, but if you plan to use it in any post on Moire pattern, feel free to use it. I love your blog and regularly follow it. You mentioned Peter Tait’s and Lord Kelvin’s program of explaining fundamental structure as some sort of vortices. I would also mention that Rene Descartes was also the one who had similar ideas ! 😀 It is amazing to see how theories repeat themselves, on the lines of famous saying ‘History repeats itself’. In J A Wheeler’s autobiography Quarks, Geons, and Black Holes, the ‘geons’ of the title refers to (so far as I know) purely theoretical particles composed entirely of light and toroidal in shape.